Have you ever wanted to plan a special tea party but just had no idea where to start? Well, there is no better time to get started than today. 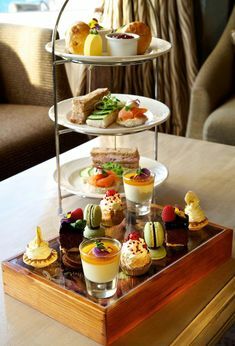 In this article I am going to share my simple secret for creating a breathtaking spring tea menu that will have your friends and family begging for more! 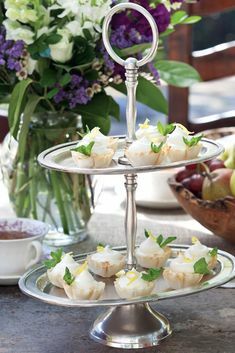 The first thing you need to know is that a tea party does not have to be difficult nor does it need to be perfect. Your guests will love that you took time from your busy schedule to do something special just for them. So take a deep breath and relax. Your event will be great. First off, find a fun location. This could be the park, your backyard, a friend’s house or your living room. Make sure the area is clean with lots of light. Next, decide how you want to serve your guests. Will you offer the food buffet style or on a tiered tray? 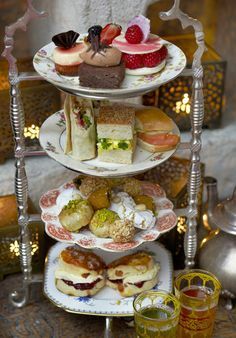 If this is your first tea party you might want to consider setting the items up on a buffet simply because it gives you more freedom to enjoy your big day. Cover your serving area with a tablecloth or sheet. Lay out your best dishware and dig out those old wedding gifts you have never used. A Spring Tea deserves your best. 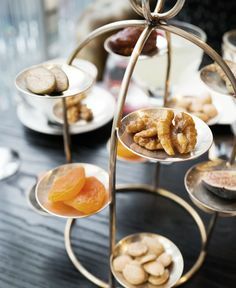 Gather teacups and small plates for each guest. No, they do not have to match. If you don’t have teacups ask each of your guests to bring their own and be ready to tell the teacups story. This will make for easy clean up plus a fun icebreaker. Each of your friends can tell where they got their teacup and why it is special to them. Now it’s time to choose your menu. This simple guide will help you pick all that you need. Once you have decided on the items simply look the recipes up online or buy items from your local grocery. A tea menu can be as large or small as you want. Don’t feel obligated to do all of the items above. 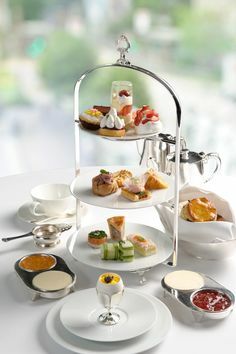 Your tea menu could easily consist of a salad and a scone with a small dish of sorbet at the end. Tea can be served hot or iced. The key is making sure it is plentiful! Last but not least choose a small item to give your guests as a favor. The Dollar Store is a great place to find inexpensive treasures such as a martini glass you can fill with candy or a silk flower which you can tie a poem to. Don’t forget to take photos and thank your guests for coming. I have no doubt this event will become an annual tradition. Like this article? Here are some more! 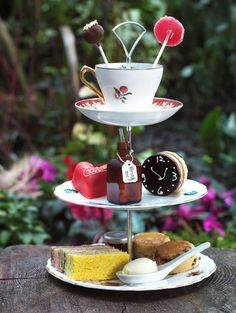 Tea Party Girl asks: What’s your favorite location for a Spring Tea? I love the simplicity of the planning menu. I may even try this one!